Young Beautiful Woman Drinking Coffee And Writing Diary, Book Or Notes In An Outdoor Cafe In Paris, France. Royalty Free Fotografie A Reklamní Fotografie. Image 44719136. 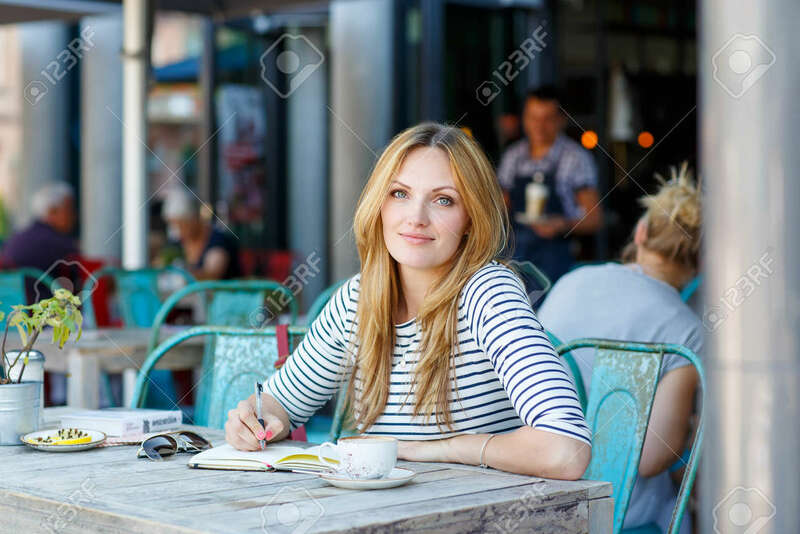 Reklamní fotografie - Young beautiful woman drinking coffee and writing diary, book or notes in an outdoor cafe in Paris, France. Young beautiful woman drinking coffee and writing diary, book or notes in an outdoor cafe in Paris, France.